← Get 50% discount as yours personal gift! This simple question can have many answers, but we would like to inform you about little tricks, hucks and possible risks in the future. First of all, any choice of the name depends on the kind of website you are going to have. Is this online store or personal presentation with photos, blog or corporate website? You should understand that domain name should have associates with your brandname. A lot of websites are trying to make their name containing keywords for searching engines (for example — bestonlinefashionstore.com). This example illustrates how a long name can harm your business. Google is a smart machine and such choice won’t bring success to your business (google may determine such website like spam and filter it).The size of the domain name should be less then 15 symbols. It is bad to combine more then 2-3 words in the name. You should create your own brand and promote it, but not general words/keywords. Try to be unique and extraordinary. This paragraph is for beginners. To our opinion, it is better to register domain name and webhosting using one vendor. You will have all your credentials in one place and won’t need support from diferent sides. Everything — domain name and webhosting will be in one place. The problem of all beginners is that they usually forget about the terms, so please be very careful with submitting actual email account. It will inform you when your account will be expired. -.tv, .fm, .info, .biz can satisfy any needs. Each country can have its own extension which will show users your location — .us (for the USA ), .uk (United Kingdom) etc. Be very careful with the data that you fill during registration. First of all, that personal information can be used by anyone. For example service whois.com allows any user to see by whom exactly domain name was registered, where and when it was hosted etc. As you can see there are a lot of details you should pay attention to during the process of chosing right Domain Name. This entry was posted in Presale Suggestions and tagged website. Bookmark the permalink. 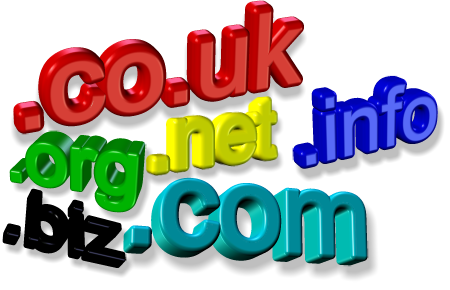 2 Responses to How to choose the right Domain Name for your website? Thank you for the interest to our products! Thus, you are able to choose your favorite one.